A used one is available for sale, in great shape. Asking 400.00. You will have to call the office at 281-548-7202 for details though. 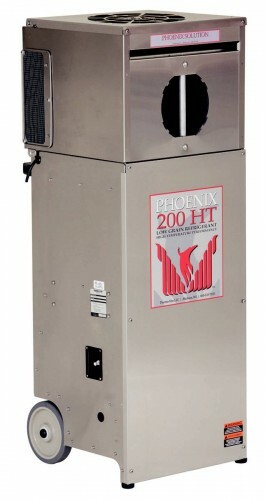 LGR Performance Amplifier increases output of Phoenix 200 MAX or HT series dehumidifiers up to 100% by using ducted unaffected air to pre-cool affected air with no cross-contamination of air streams. 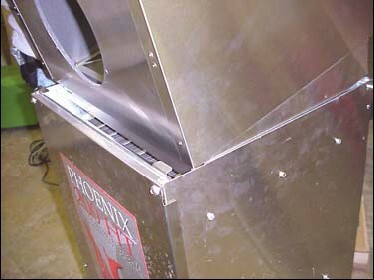 Reduces dehumidifier grain output, heat output, and amp draw. 20’ power cord. Stackable. Stainless cabinet. 240 CFM. 2.0 Amps. 115 Volt/60 Hz. 39 lbs. 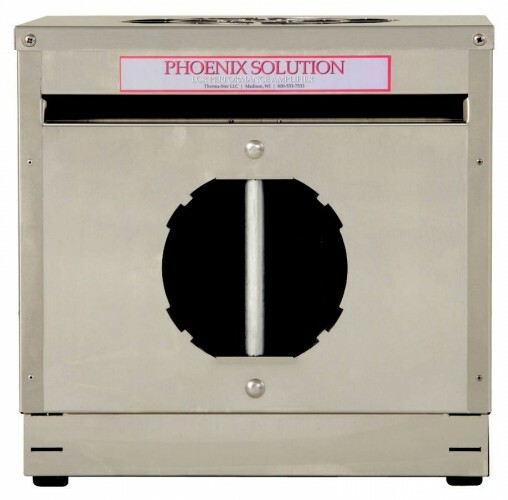 Product Features - Widens the temperature range for LGR performance up to 140°F. - Increases water removal rates up to 100%. 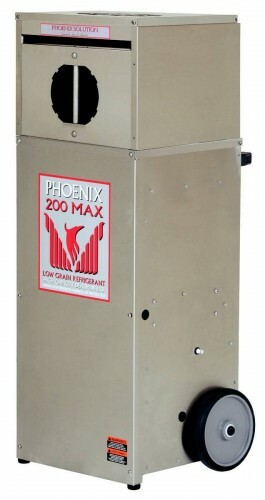 - Increases grain depression up to 33% for faster drying of more materials. - Removes BTUs from the affected areas. 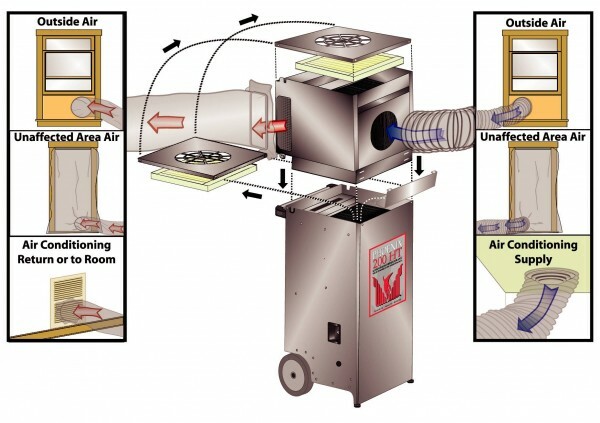 - Achieves optimal drying conditions in structures with insufficient or without air conditioning. - Drives the grains/lb. in the drying area from the mid 30’s to the low 20’s. 1. Remove Top and Filter from 200 Max or 200 HT. 2. Attach Solution mounting bracket to LGR. 3. Set the Solution into the top of the LGR and slide into the mounting bracket captures. 4. Place Filter and Top on the Solution. 5. Find the coolest air source from outside, the unaffected area, or air conditioning. 6. Duct as shown in drawing. 7. Plug units in and turn “On/Thermostat”.